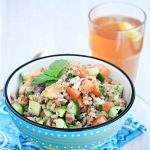 French Green Lentil Salad with Balsamic Vinegar dressing – A flavorful meal on its own! 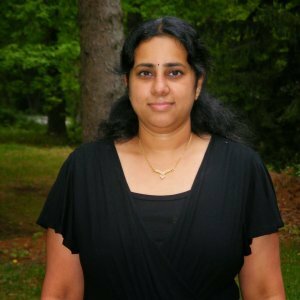 This week is super exciting as I got to work with three ingredients that were mailed to me by Varada; a fellow blogger who blogs at Varada’s kitchen. A group of participating members were paired together for ingredient swap as a theme for Blogging Marathon. I have mailed three different ingredients and she had mailed me three. The first one I worked with are these French green lentils. 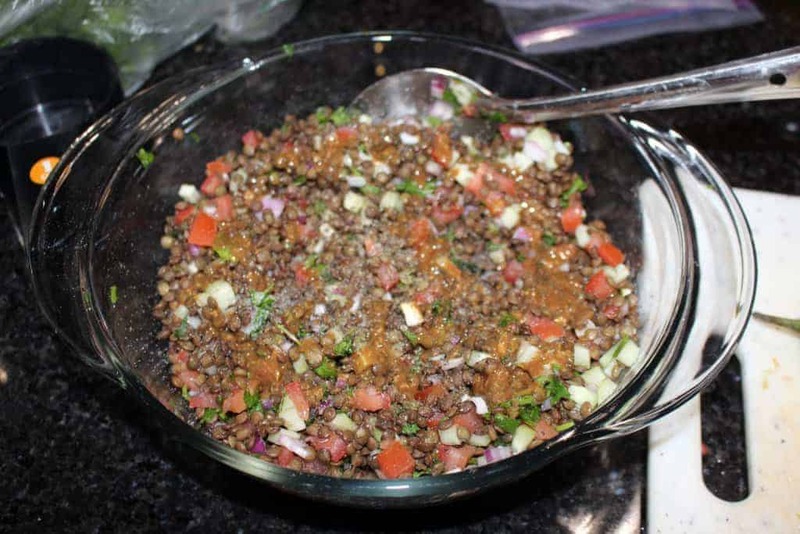 I have never heard or seen this lentil before and this was the only ingredient among the three that she had sent, so I decided to tackle that first. 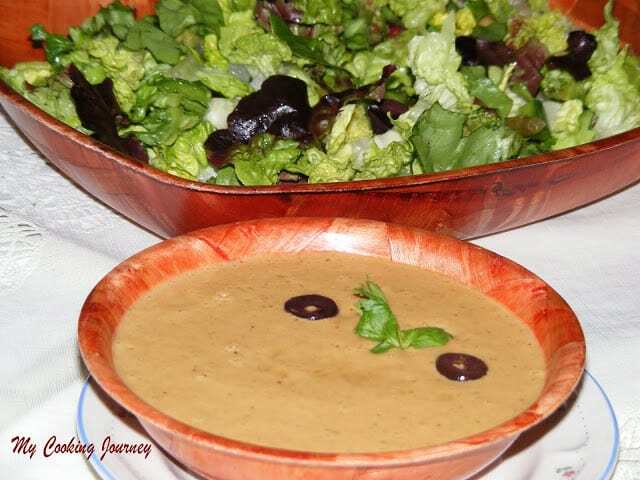 As soon as I saw the lentils, I knew that I wanted to make a salad and hence came up with very refreshing French Green Lentil Salad with balsamic vinegar dressing. 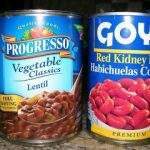 Since the lentil was something I was not aware of, I started researching a bit about it and this is what I learned. The French Green Lentils are also known as Lentilles Du Puy. They are small gray-green lentil that are grown in Central France. 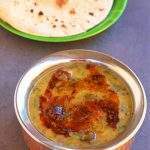 They are the choice of lentil to use for salads as they hold there shape much better when cooked. 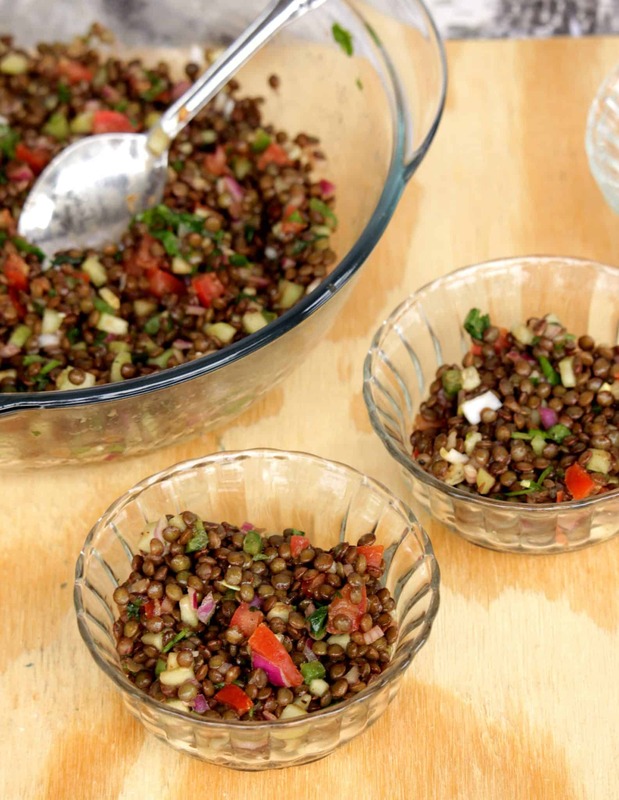 The lentil also has a great earthy flavor that I loved. Balsamic vinegar is one ingredient that I have hated in the past and in love with now. Since it is one of my new found love, I am in the process of exploring different recipes now. This dressing that I have made for this salad has just the balsamic vinegar, Dijon mustard and some honey. If using honey mustard, we can omit the honey from the dressing. 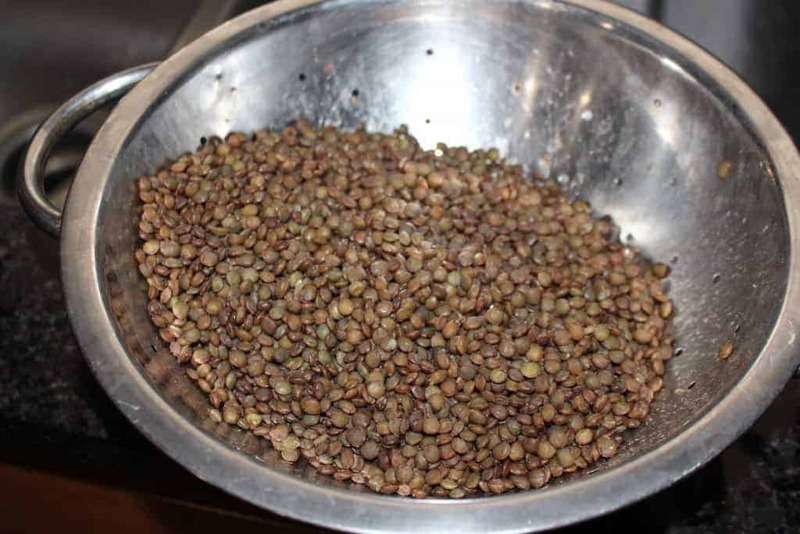 Rinse the lentils well under running water and soak it in water for about an hour. Soaking is not essential but it helps in cooking the lentils faster. Once the lentils have soaked for a bit, drain the water and add it to a pot. Add plenty of fresh water to the pot and bring it to a boil. Let the lentils cook until it is cooked half way through. Add a bit of salt to the boiling water and let the lentils cook until it is soft when crushed between the fingers, but not mushy. Mine took about 20 minutes to cook after I had soaked it for about an hour. 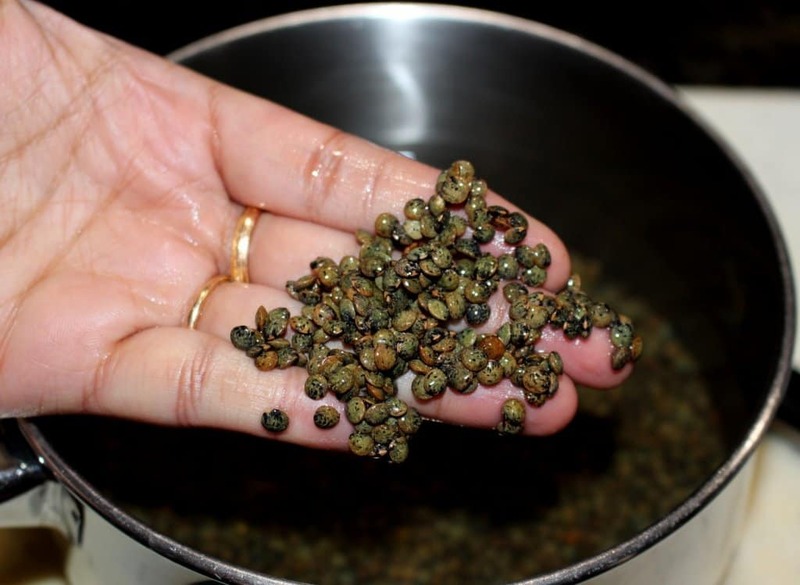 If using lentils without soaking, it might take a little longer to cook. 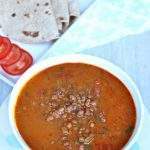 Make sure that the lentils still have a bite to them and are not very mushy. Drain it in a colander and let it sit for few minutes until it has drained completely. In the meantime chop the rest of the vegetables and add it to a serving dish. 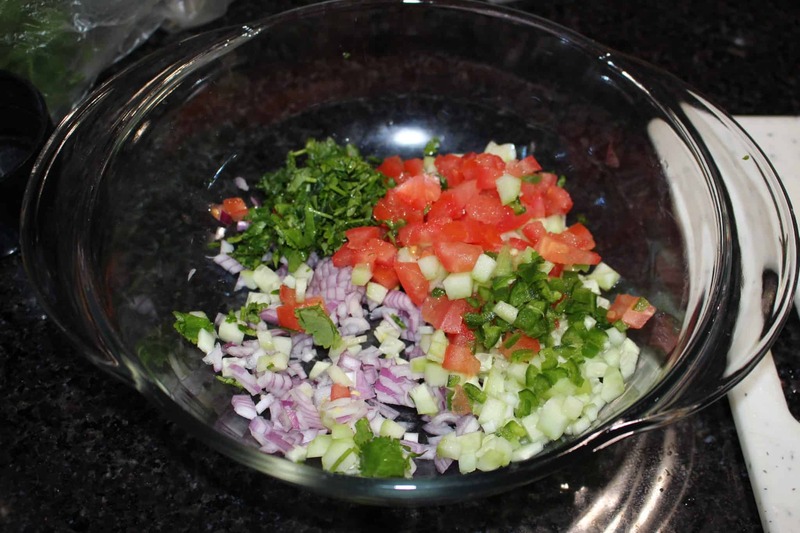 Add the well drained lentil in to the same bowl and add salt and pepper to taste. 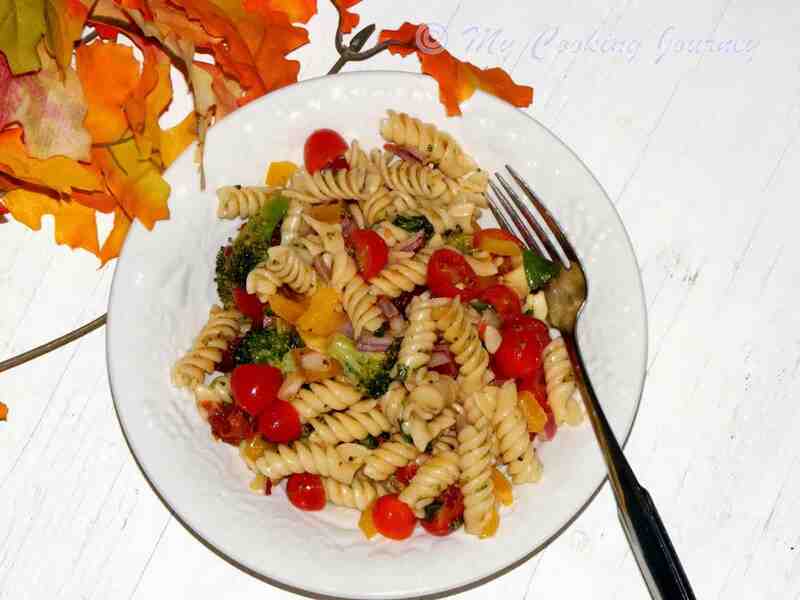 To make the dressing – Whisk together all the ingredients mentioned in a small bowl. Add the dressing to the lentil mixture and mix well. Refrigerate the salad for at least couple of hours before serving. The salad can be served at room temperature as well but I preferred it cold. Very healthy nutritious salad. 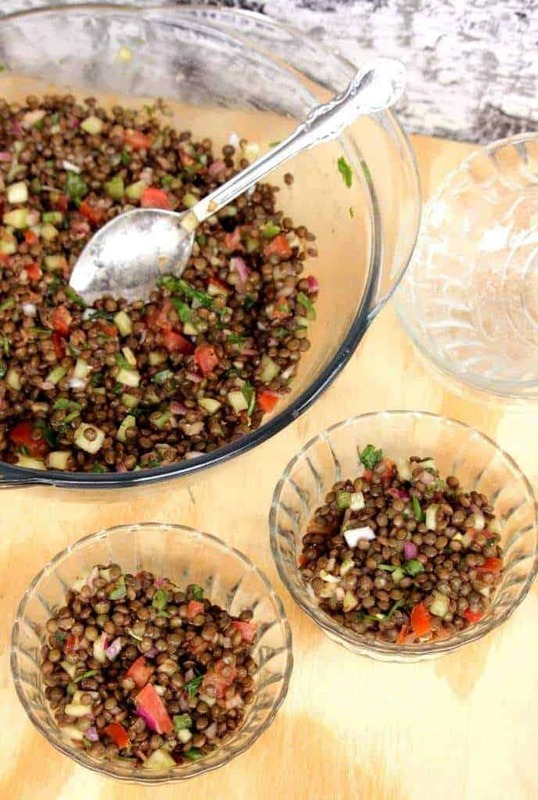 The dressing sounds so yum..
Love these lentils both in salads and soups. 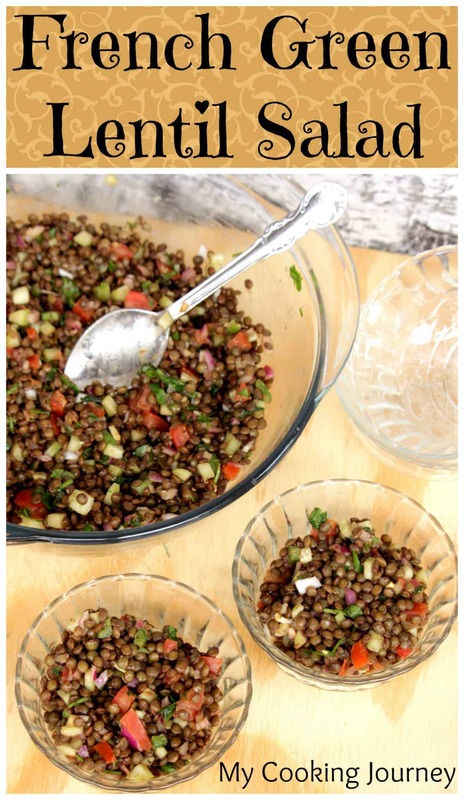 Wow, cant wait to make this salad, i have this green lentils at home. Very healthy salad Sandhya. Healthy Salad!! anytimg with lentils im in!! 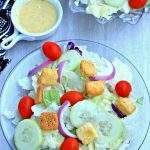 That’s one healthy salad.The dressing sounds simple yet delicious. I love French lentils and balsamic vinegar. 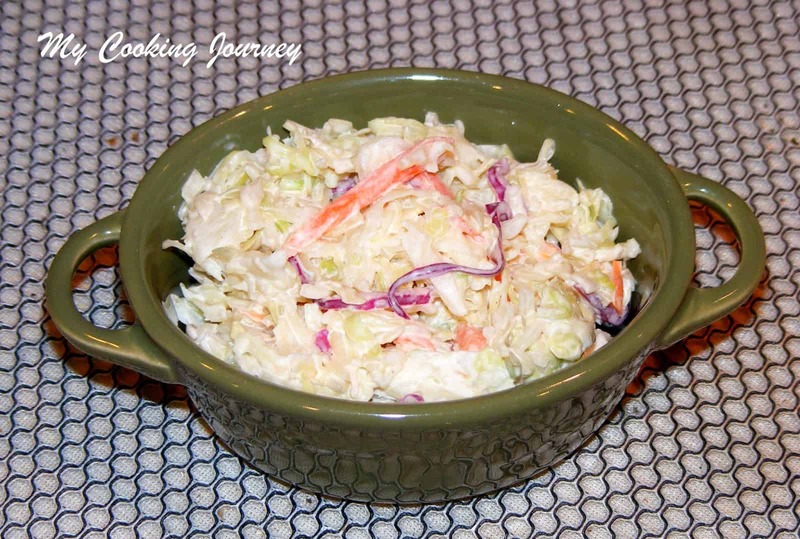 I’m going to give this salad a try soon. 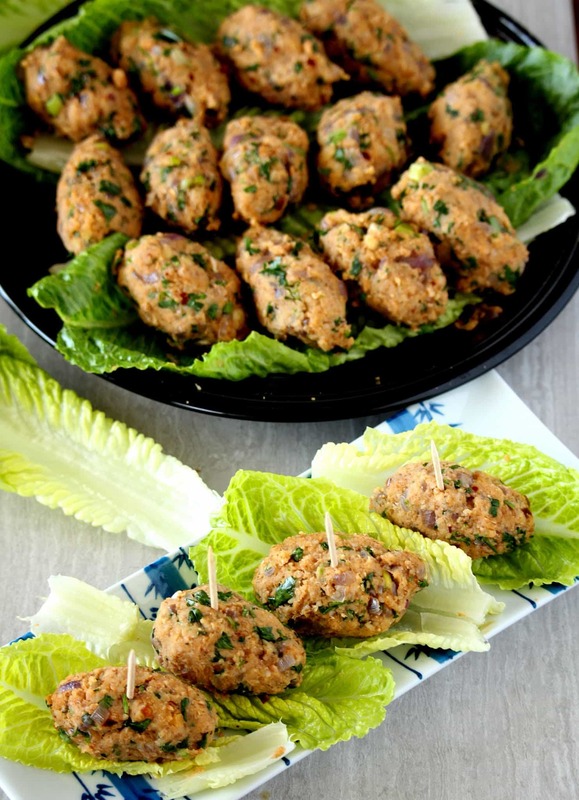 Do these taste similar to what we get Sandhya?..lovely salad. 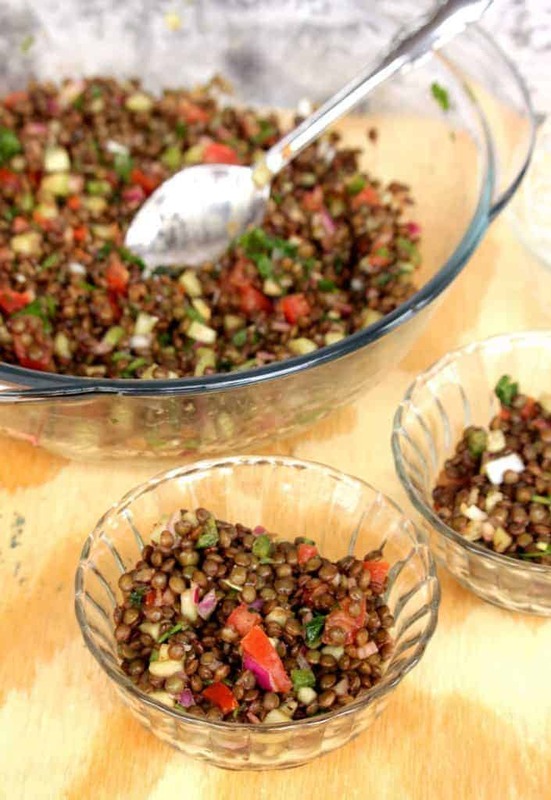 I love these lentils and the salad … well you know I ma a soup and salad person. Will try a find the fresh ones else will make from the dried lentils. 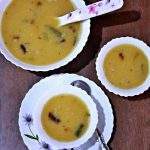 Is this the fresh version of masoor dal? Looks so much like it. Balsamic vinegar is something that I am very fond of.